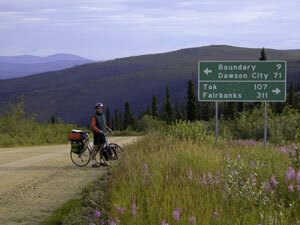 Explore Alaska and Northwest Canada on a Bicycle! 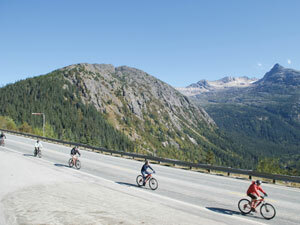 We offer many single day tours based in both Skagway and Haines, AK. The communities are connected with daily ferry service during the summer months. Click below to expore all of our day tour options. On our multi-day, fully supported tours in Southeast Alaska and Northwest Canada, you'll experience an unforgettable adventure. We have options for all types of travelers including multi-sport adventure, remote biking and camping trips, and exploring by bike with comfortable lodging every night. Click below to see our multi-day tour options.